Sorry for the malware-induced hiatus! I finally got my act together to get it cleaned up and we are back in business. I have a lot to share: (what promises to be) a fabulous trip to Europe, Miles updates, adventures in keeping other people’s humans and dogs alive, and some van upgrades. 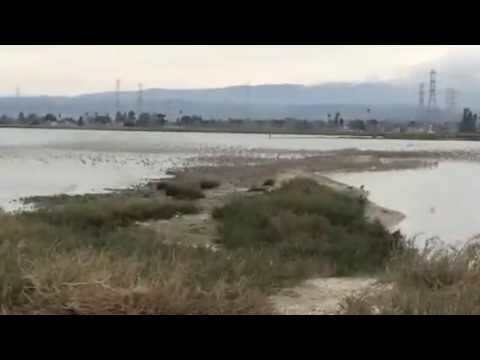 Until then, I will leave you with this video I took with my phone on March 10 at Coyote Point Marina (about 2 miles from home). Miles was swimming in the water just to my left and these birds were just doing their thing. They “murmurated” several times, enough times for me to get my phone out and record one from start to finish. What a treat! As I was looking forward ahead to Ironman Canada ending, I was approached about a new opportunity. A new challenge, if you will. But this was a whole new ball game: menswear. Not only that? Selling it. If you know anything about me, you know I love a challenge. I mean, why else does anyone sign up for something crazy like IRONMAN? It was actually an easy decision when I did my research regarding the quality of the products and the support of the company. The final piece that fit into the puzzle was that I’d be able to keep the flexibility in my schedule. Even if I sold nothing (making it financially “worth it”), it was a challenge worth taking on! So, without further ado, I am delighted to announce that I am a Style Consultant for J Hilburn. In short, I can save you time and money. And, you’ll get to work with me all the while! This also introduces the FASHION category on the blog (and explains the tape measure in my new header graphic). You can expect to find articles about things like how to match stripes with patterns, trends in fashion, and where J Hilburn has been featured — places like Men’s Health, Esquire, and Inc. Magazine. I’d love for you to follow along on my Facebook page. I already talk about food, fitness, and other fun stuff — and plan to do so with more regularity. That page (rather than my personal page) is where I’ll link to articles related to men’s fashion as well. Like me there! I’ve got over 20 clients who are delighted with their clothes and the process of working with someone one-on-one to build their professional and social go-to clothes that fit well and look great. If you’re tired of spending your weekends at the mall and tailor and tired of what the standard men’s retailers have to offer, I’d love to work with you. I think you’ll be pleasantly surprised at how easy and affordable it is to have a custom wardrobe. Even if you’re not interested in the clothes, you might find insight in the trends and “What Not To Wear” that I’m planning to feature. Who doesn’t want to look like this guy? AMIRIGHT?! ?